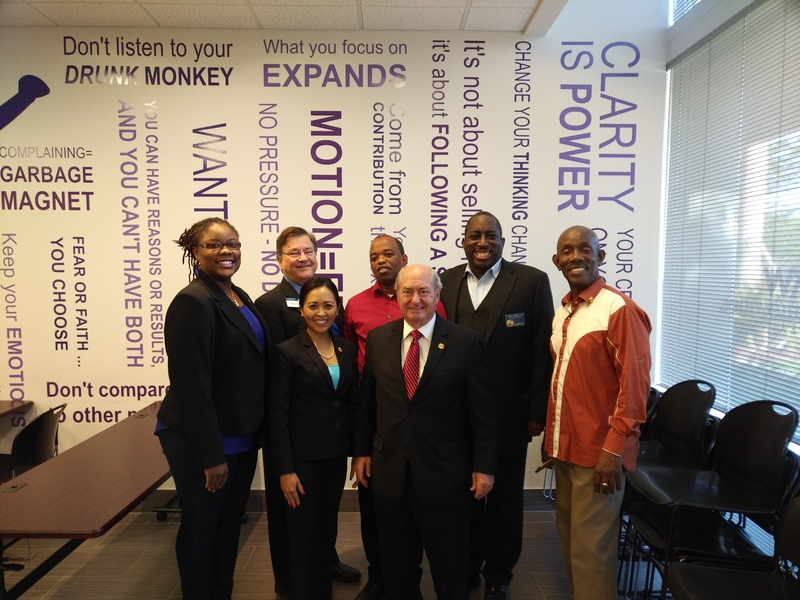 The members of Club Awesome extend our gratitude to professional speaker Johnny “The Transition Man” Campbell and leaders of District 47 Toastmasters for visiting on Friday, July 28. Johnny, a longtime Toastmaster and professional speaker, inspired us with insights on how we can become more self aware, set better goals, and importantly, put in the effort necessary to achieve our dreams. He reminded us that, although the “elevator to success” may be broken, we can always “take the stairs.” Take the first step by being our Awesome guest at next week’s meeting. 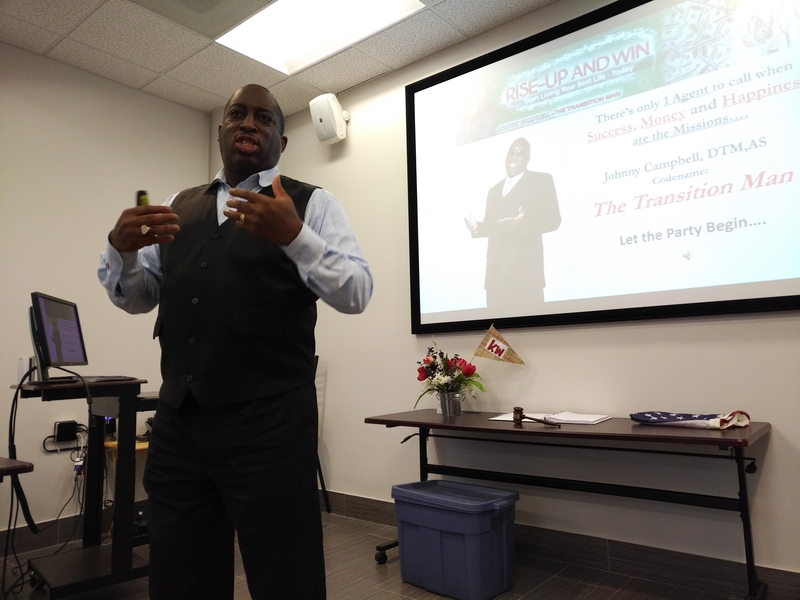 Meanwhile, current Toastmasters can see more of Johnny as the keynote speaker at the August Toastmasters Leadership Institute (TLI) events in Broward and Miami. Johnny’s full presentation at Club Awesome is available on YouTube. Toastmasters of District 47: Are you attending the July 29 TLI this weekend (or an August session)? You are invited to share your tips and experience in the Presenting the Community project. Even if you aren’t attending a summer TLI event, you are still invited to participate. In fact, Toastmasters of all experience levels from the 160+ clubs in District 47 are encouraged to contribute. Visit http://johnmquick.com/hpl and connect with John M. Quick to learn more.